Spotted in a playground, this wagon will either be very familiar, or not familiar at all to some of you out there. A creative remake of Fred Flintstones car, brought back childhood memories for me. To be fair, I was not around for the original 1960’s screenings of this pre Simpsons family, but TV here in NZ re-ran everything for many, many years. I expect it is still on one channel somewhere here. Shot on the Samsung Galaxy S2 using the Vignette App. Post B&W conversion in Gimp. 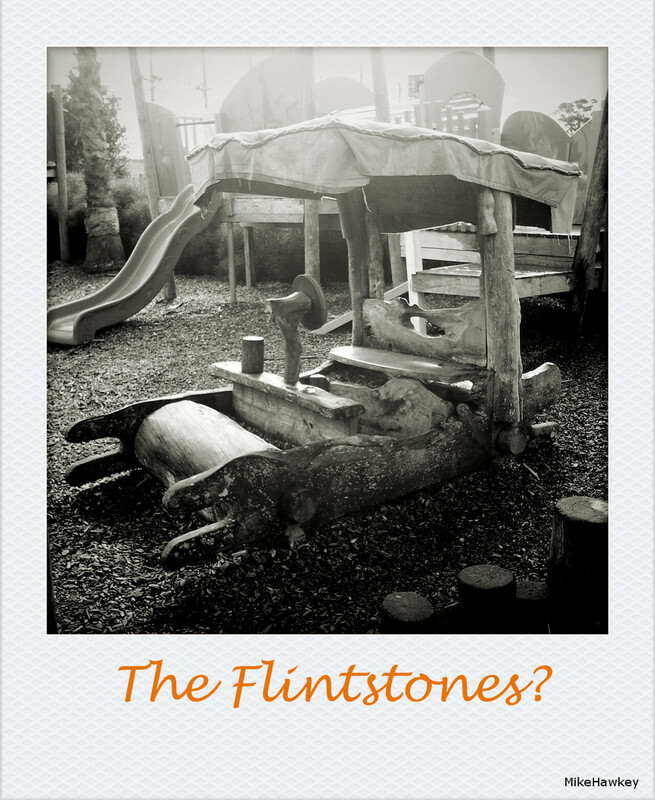 I would of been squealing of delight if I would of found this….loved the Flintstones. Its a pretty good remake of the mobile!